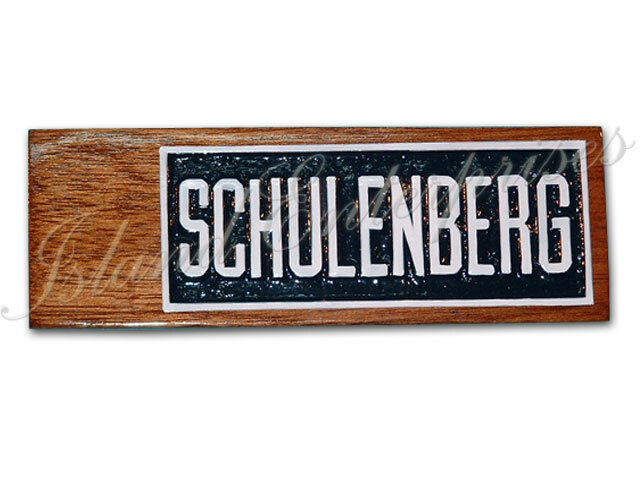 These name plates will look good on lockers as well as on doors. Many of the Fighter Squadron's we serve use these to recognize members of their Squadron. Design them any way you want, your choice of text, patch, etc. Size: 6.25" x 2" x .25"
And remember, we offer a 100% money back guarantee if you are not totally satisfied you've bought the best product available on the market! !